Students who cheat may be feeling alienated from their lessons. 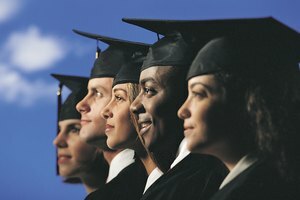 In a survey completed by business professor Donald L. McCabe between 2006 and 2010, a whopping 40 percent of United States undergraduates admitted to some form of cheating in their college courses. 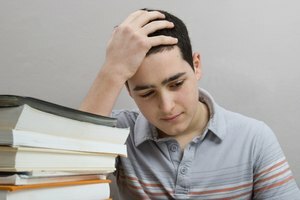 Academic cheating includes copying test answers, plagiarizing reports and paying someone to complete homework for you. 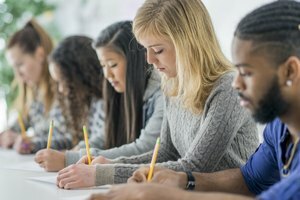 The reasons that students cheat are varied, but they can elicit equally serious consequences: school expulsion, a mark on their academic records and difficulty with future employers. The birth of the Internet brought the ability to quickly and efficiently transmit information on anything, from anywhere, right to our fingertips. With sites catering to students by providing pre-written reports and essays that you can purchase or download for free, it's never been easier to plagiarize someone's work. The temptation of being able to grab just a few lines from the Internet can be irresistible. Today's academic system is generally based on grade point average or some other numerical or alphabetical representation of academic skill. Students may opt to cheat in various ways to give themselves an edge with their grades or to help them get better marks in a class they find difficult or where they feel they are not being engaged by the academic staff. A parental expectation of grades may also drive a student to cheat. Another common reason that students cheat is because other students cheat. 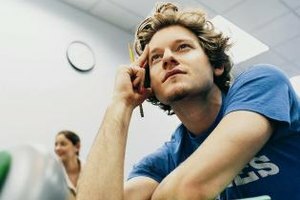 More students may end up cheating if they discover the head of the class is cheating, as it shows that people who cheat will get better grades. Due to the lack of social reprimand and the notion that "everyone does it," there isn't much of an honor system regarding cheating among students. It is generally accepted that everyone cheats at some point, so it is not discouraged among peers. The way a school board decides to handle students who cheat may also contribute to cheating. Many schools and professors do not invest time investigating occurrences of cheating and students continue to cheat because they can get away with it. Some schools will reprimand cheaters, but the punishment is often not severe enough to discourage others from cheating. Other schools may not clearly display the rules surrounding cheating or the penalties given when a student is caught. Many professors will now spend classes giving lectures instead of having students perform class assignments as it is considered "old fashioned". These assignments are, instead, piled onto a student's already overflowing workload. Students will turn to cheating to lighten the burden of homework which often takes as many hours to complete as a full-time job. The pressure to complete all of the work within the given time frame can make cheating look like a saving grace. School For Champions: Why Do Students Cheat? Rowan Wood began writing various forms of fiction and nonfiction over 20 years ago. Wood has had editorials published in the local "Times" newspaper and has had work featured in magazines like "PC Zone" and "WebUser Magazine." Wood specializes in fiction writing, visual art, film, crafting and game design. Wood, Rowan. "What Are the Causes of Cheating in College?" 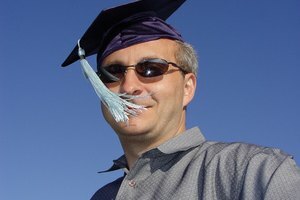 Synonym, https://classroom.synonym.com/causes-cheating-college-4907.html. Accessed 22 April 2019.